You need to get visitors to your website, and be able to have their actions generate you revenue. This video shows you how to do that. Most Importantly... you need to be able to control your own website and NOT be dependent on webmasters. Income Activator's website builder gives you control over your website. Here are over 50 ways of getting visitors to your website in order to create revenue and build your email list. You can start by collecting the email addresses of your current contacts, friends, and family. Send them an email announcing the launch of new website and business. Never Buy Email Lists - You don't know who is on these lists and they may sue or report you to Google for spamming. Additionally, Google could kick you off their search engine - It's happens often. The best way of building your email list is by getting your own visitors to your website who will give you their name and email address. Follow the news. When a news story comes out about your business, put up a website page about it. Make sure it's keyword enriched with the search terms people will be using on search engines like Google, Yahoo and Bing in their online searches. You won't know exactly what the search terms are, so just try to put yourself in the mind of the consumer. Whether it's a breaking news event or has just been reported on TV, in most cases, very few networks will have this information posted on their website as fast as you can put up a page. Your Income Activator website allows you to do that with out the need for a webmaster. You have the potential of grabbing 1,000's of new visitors this way. By posting news worthy stories, you also train the search engine robots to review your website regularly. This gives you a great advantage over your competitors as the search engines display updated site a head of dormant sites. You should set up a section on your website saying: LATEST NEWS, on your menu bar, then list all the news stories in the drop down menu. YouTube is a great way to build your list and get more leads. You can simply use your cell phone camera to take videos. In Income Activator's Marketing section, it shows you how to edit your videos through a program called Corel. It's fun and easy to do. When doing YouTube videos, give little nuggets of information at a time. This will create a following. You can even do this daily. Then have a link where they can go and opt in to your email list. You may want to give a free report to entice your visitor to give you their name and email address. You can also invite people to subscribe to your YouTube channel. You can have people subscribed to both your YouTube channel and email list. Vimeo.com is one of the many video sites out there, and is another great way to get your video out there. 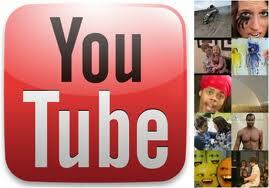 How To Get Traffic By Doing A Video Response To High Traffic Videos, click here. Most viral videos are not professionally done. In fact, the best are taken from everyday life. So if you think something is funny, interesting, cute or informative . . . the world may think so too! Just make sure your video is properly optimized and that you send your YouTube visitors to your website to either click on Google's PPC ads, your own PPC ads, or to follow the path of your revenue model. This video has had over 20 million viewers. It's cute . . . but over 20 million visitors?!?!? 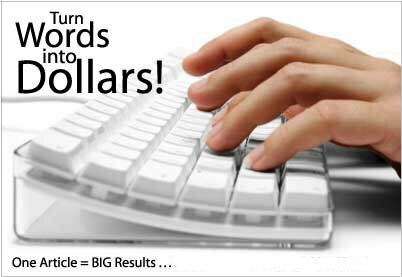 Image if you got only $1 per click from each visitor. You can create 'Video Responses' on YouTube, and many other video sites, that respond to existing videos. By creating video responses to other people's videos, you're able to capture existing traffic. For instance, people watching a highly popular video will likely watch your video responses, and may then check out your website too. To make a video response, click the 'All Comments' box located underneath the video's information. This is the same place you would click to write a comment. The 'Choose a Video' option lets you respond with any video you've already posted. Each video in your account can only be used as a video response one time. You'll notice that your videos that have already been used as video responses have an asterisk (*) beside them. This option works like the normal YouTube upload process. Simply go to YouTube and upload the video as usual. Once this has been completed, go back to the video you are responding to and select your newly uploaded video as a video response. We all know there are lots of types of social networks out there. There's YouTube, Facebook, Twitter, MySpace, and more popping up every day; however, you can also create personal social networks. If you want to create a social network around your topic, be very clear on the niche you are targeting. The key to success is to create a social network that is based on a group that already has similar interests/hobbies. Their interests will drive them together and it is much easier than trying to force a bunch of people to be interested in content or a topic that they may have no interest in discussing given they all have different interests and views. Ning.com is one of many social network sites where you can go and start a social network today about any topic you want - it could be about you, monkeys or cheese even! An incredibly powerful network, Ning has millions and millions of users and is just a great way to get people talking if they're passionate about something. SocialGO is a competitor to Ning. It's also very, very good. There's also Digg, StumbleUpon, Yahoo, Reddit, which is very similar to Digg, and del.icio.us or. Twitter is a great way to build a following, especially when you drive from Twitter back into your email list. So take advantage of this phenomenal way to build leads and build your list. 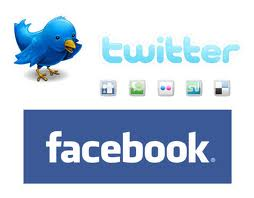 Read more about Facebook and Twitter. Facebook.com, a social network, is a great place to meet people who have similar interests and to connect with people who want to buy the types of products and services that you have to sell. However, it has been reported that it is a difficult selling environment, so be careful of the time you spend marketing this way. In the case of all the social media, and with any type of lead generation or list building, you want to focus your attention on actually helping people. If you focus on helping people in your marketplace first, they'll be much more responsive when you ask them to give their name and email address in exchange for helping them. 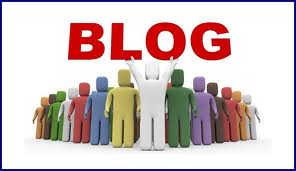 Starting your own blog is one way of getting people to come to your website. Income Activator has its own 'Comments Section' where you can set up your own Forum, or Blog. Blog posts are one way to build your list. Write a blog post that has to do with your topic. Even have an opt-in box right there, with a free report. One way or the other, do a blog post a day, and you'll get leads every day. You can also do blog commenting, where you comment on other people's blogs. There's also Live Journal, which is anther blogging option. These Blogs or entries should be on your website, creating pages for the search engines to index. Writing articles and submitting them throughout the Web is another way to build traffic. For more information on how article marketing can create leads, click here. You can also do a viral PDF, which could be an article or a how-to-directory of some sort that goes viral. And there are many ways to set it up. There's actually a product out there called "Viral PDF" that you can look at in order to get your PDF files spread though out the Internet. There's also Google Knol, which is an article directory. Selling from your email list is easy to do. One example is to send out interesting emails to your list of friends, family and clients. Send out something funny, interesting or inspiring. You will also attract more people to your website or to click on the link you provide as your email list forwards the email to others. This is known as viral marketing. Make sure to include a link that pays you. To read more, click here. Webinars are cost-effective tools for marketing your business, increasing customer loyalty, and creating new streams of revenue. There are hundreds of ways to put on a Webinar. For instance, you can do instructional videos to generate leads, where you interview people on a topic related to your website. If you interview credible people, others will more than likely find your webinars through online searches. 1. Strong Intent: If someone signs up for your webinar they already have a level of respect for either you or your company. This is something you can leverage over time to convert them into customers, as they have an inherent interest in what you do. 2. More information than most lead gen: Because of the perceived value of listening to a subject matter expert talk about (hopefully) new and relevant theories, people are more willing to part with more of their personal data. But it’s not really personal. Instead, they are giving up corporate information, removing a big barrier while at the same time giving you an *in* with the company. 3. They are free: Free learning? Sign me up! a) Access to the other company’s customers: You immediately have a new list of customers to market to. b) Accidental word of mouth: Your own customers will often ask questions related to your product during the webinar, which is essentially a word of mouth tactic that provides social proof to the non-customers listening. 5. No geographical boundaries: People can sign up from anywhere in the world, extending your reach. You can then market to these people who will help spread the word in new geographic locations. Which actor would you not let drive your car for fear of them crashing it? The magazine loved the survey and published it along with my website address. 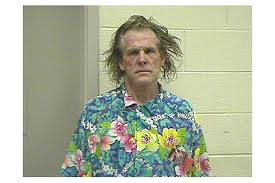 The answer to the survey question was Nick Nolte. At that time he had just been arrested by the California Highway Patrol and charged with driving under the influence. While joint ventures are used all the time in the Internet marketing world, they're rarely used in the lead generation world. If you're an Internet marketing person, you probably already know about doing cross-promotions to your list of leads or list of subscribers. But if you're in the lead gen world and have a list of 10,000 people that you're emailing to twice a month to build a relationship with them, you should know you can promote someone else's product or service to your people and have that person promote your products or service to their people. Both of you would then generate more sales. It's an incredibly powerful and virtually free way for you to make that happen. PPC is another way to build your list. Google Pay Per Click, Bing, Excite, and even Facebook now have PPC advertising. Pay-per-click advertising is really powerful. It's a way of paying to get traffic to your squeeze page, to your opt in page or to get people to join your list. These are people coming to you wanting more information from you on X, Y, Z topic. CPA is Cost Per Action. CPL is Cost per Lead. They're different. Cost per Action is through a CPA network where you actually pay out a certain dollar amount for a defined action. The action can be a purchase or someone filling out a form. This software is part of your Income activator website builder. It's an incredibly powerful way to make things really work. Again, it's CPA – Cost per Action. CPL is a Cost Per Lead. You define what information is required for it to be considered a lead and only pay for leads that meet the criteria you establish. And again, you can do CPL advertising through CPA networks. Something you should definitely explore. Integration Marketing is a tremendously powerful way to generate leads. It's putting your offer on the back end of someone else's offer or vise versa. For example, if you successfully make a sale, you can present someone else's offer for a related product on the thank you page, after the purchase is complete. This can even happen over the phone. You successfully close a deal and then you make an offer for a competitor's product, getting paid a commission based on the sale. Your marketing partner gets a sale and you've made extra money. Everybody's happy. Traffic Geyser takes your YouTube videos or your recorded videos that you have taken from a webcam or a flip video and helps to distribute them across the Internet to a whole slew of different video sites. It helps you distribute your videos, articles, press releases and all sorts of other content all over the Internet, very quickly and with little or no work. in other words, it's like an aggregator. So if you have a good message you're putting out there, record a video first, convert that video into an article, post that to a blog and distribute the article through a bunch of different article sites. It's an incredibly, incredibly powerful way to get your word out there. Trafficgeyser.com as a service you might want to look into. Most people are hesitant when it comes to using press releases when they're putting out an article. But the reality is, it works like crazy and helps give you tons of back links. Back links are when websites link your website. Plus search engines rate your site higher in the search rankings if you have back links. I recommend putting out a press release a day before using free online postings. There are a bunch of different options that are out there, and everyday there seems to be more. But converting your article into a press release and distributing it with a link back to your opt in page or your squeeze page is just an incredibly powerful way to make all this happen. When you have a newsworthy press release to get out to the media, make sure you use a News Wire service that goes to the desk of newspaper, radio and TV editors. You can use something like Craig's List and other classified ads sites that are out there. Just type in "classified ads" or "Internet classified ads" and you'll find a slew of places that you can put classified ads online. You can also use the classified ad section in newspapers. The biggest thing is that people need help. If you can offer them help, they will come to you. So think about people who need your help, rather than leads. And if you focus on people who need your help, you're going to find that you're going to want to help people. And you're going to be in a much better situation if you do. EBay is a really great way to generate leads. You can sell something really inexpensive: perhaps a 99 cent special report, whether it's in print or digital on ebay.com. You can also do this on Amazon.com as well. An extension of amazon.com is the Kindle. On Kindle you can sell eBooks. Very, very powerful. 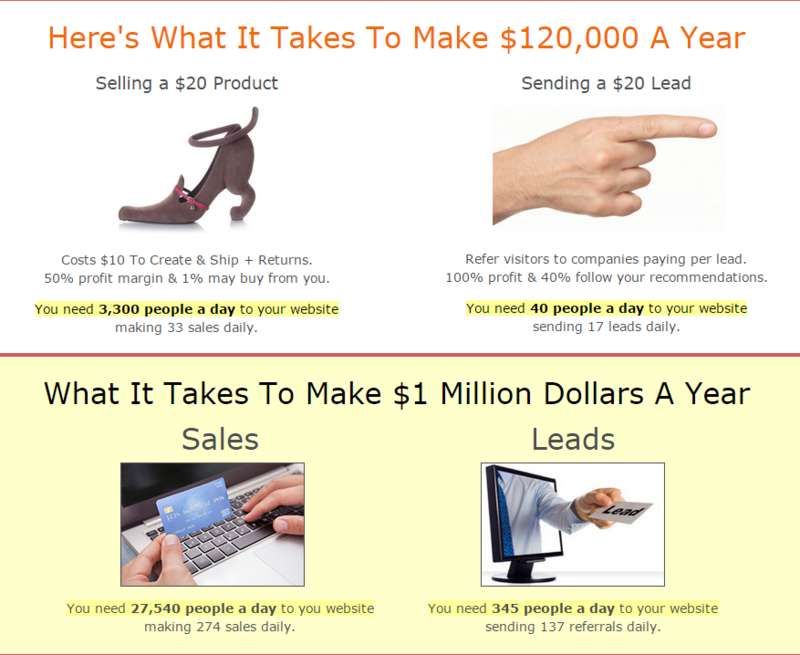 For each of these kinds of sales, you can drive the traffic to your website. Now, this one's a little funny. Someone went around and put posters up on cork boards in many Starbucks locations in order to generate leads for their business. So something to remember is that you can, with good copy that's appropriately placed, generate leads almost anywhere. Search Engine Optimization is the process of defining your website with a Main Keyword Phrase, and build out your website with Related Keyword Phrases so that the search engines like Google, Yahoo and Bing display your website for online searches. You can learn more about how to do this in your Keyword Research section. Your Income Activator website has a link to do a quick search for Keywords, entitled Keyword Research, to ensure that the words that you're using to describe your website are being searched for online. Each of our Income Activator pages also has an SEO section where you can describe to the search engines what your page is about. Since you are able to optimize your website pages as you create them, providing you hands on SEO positioning, you have an advantage over other websites. 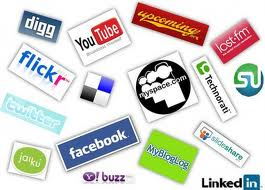 This will ultimately give you free online search traffic coming to your website. RSS means “Really Simple Syndication.” RSS is another way of getting your content out there. You have an RRS feed built into your Income Activator which shows up on your website's subpages. Your visitors that use RSS Feeders will then be sent updates to your pages as you do them. RSS is a technology is being used by millions of web users around the world to keep track of their favorite websites. This is great for your Store updates when adding new products or for your Article pages or your News Alerts. Many people describe it as a ‘news feed’ that they subscribe to. It’s like subscribing to a magazine that is delivered to them periodically but instead of it coming from a physical mail box each month when the magazine is published it is delivered to them through their ‘RSS Reader’ every time their favorite website does an update. RSS flips things around a little and is a technology that provides your visitors who subscribe with a method of getting relevant and up to date information sent to them for them to read in their own time. It saves them time and helps them get the information they want quickly after it has been published on our website. You get an RSS Reader. A good and free one to use is Google Reader. It works a little like email. As people subscribe to the feeds, they will see the latest update to your website pages and can read it right away in the feed reader. They are also given the option to click through to your website or move onto the next unread item – marking the last one as ‘read’. The best way to learn how to use Google Reader is to simply subscribe to some feeds and give it a go. You may wish to tell your list about RSS Feeders, how they work, by sending them this information, and have them subscribe to your website. Here are 2 videos that talk about Podcasts. The first video talks about what a Podcast is, and the second video tells you how to do a Podcast. Imagine getting new 'radio-style' talk and music shows to listen to on your iPod or other MP3 player every day. You wake up and automatically have new shows ready to listen to while you exercise or commute to work. This is the podcast listening experience. Not only that, but anyone can create his or her own 'radio-style' show and broadcast it to the world in very little time and at very little cost. All you need is a computer, a mic and the internet. It's like having your own radio show online. If you enjoy talking about your business, you can even host call-in Podcasts to engage listeners and get ideas for future podcasts through the questions people ask. Alternatively, they can simply listen to it when ever they want. They can even sign up to receive your Podcasts through their RSS feeder. You can also put your Podcasts on your Income Activator website in the same way you would upload a video. This is one way of becoming an authority speaker online and to get your website's message out there and to attract visitors to your website. Podcasting uses RSS in order to get things out there – in particular, audio and video. Plus, there are lots of podcast directories that you can submit to. Traffic Geyser utilizes podcasting and RSS as two of the major tools that it uses to push things out there. You can embed your Podcast into your Income Activator website if you upload it to YouTube and follow the Embed a YouTube Video Instructions. You've probably heard of sending mail to generate leads. You could do this all day long. It could be the only thing that you do, and can generate 1000's of leads for you a year, easily, if you decide you wanted to get good at direct mail. The reason why direct mail is so affective in today's market place is that it's used less frequently. As the Internet has taken over, your direct mail piece is probably going to be opened as it's exciting to get something good in the mail these days. Postcards are a form of direct mail. You can utilize postcards in order to generate leads, as well. When you watch the video, ROI means Return on Investment and B to B means Business to Business selling. You can also do a bulky mailing. It's like direct mail, but you can include something in it. Imagine a tennis ball inside of an envelope that you got in the mail. Well, that would be bulky mail, and it would definitely get opened. An e-zine is a newsletter that is delivered via email that you can subscribe to or opt in to it. 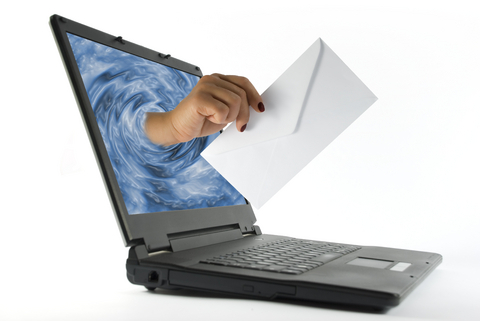 Email delivery frequencies can be any periodic schedule with daily being the most frequent. You could send it out multiple times per week, weekly, biweekly, monthly, or even quarterly. Some of the best ezines are delivered daily, weekly, biweekly or monthly. Any delivery frequency longer than monthly is not recommended. An important component to an 'e-zine' is the permission you give the e-zine publisher. Double or confirm opt-in is the best method of subscription and this means that the subscriber not only requested to receive the email newsletter, but confirmed their request to receive it by clicking on a confirmation link or replying to an email verification. Any ezine that does not require confirmation or a subscription process is considered spam (unsolicited commercial email). To advertise with e-zines, just type in "e-zine advertising" and you'll find lots of sites to advertise on. Specifically, you can look for e-zines on your topic and advertise in them, and direct people to your website, have them opt in, and then you can follow up with them. You can do advertising on TV through Google. There are 28 additional ways of getting traffic to your website. Below are some more. To find out more about any one of these, simply do your own search on Google to find out what other internet marketers are doing. 1. EBooks: You can create an eBook, priced at $24, and put it on sale on Amazon for 25 cents. To purchase it, the person would need to go to your website. 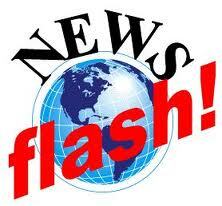 Suddenly you are getting qualified leads and being paid for them too! 2. Radio advertising: You can advertise on the radio or radio on the Internet. 3. Text Messaging: You can do text messaging or SMS advertising on mobile phones. 4. Facebook Ads: Many Internet marketers are switching from Google AdSense to Facebook ads as there seems to be more flexibility and better pricing. 5. Hubpages.com: This is a great way to get stuff out there. HubPages is a lot like Squidoo. You can put your content there and build a following. 6. Giveaways: Do a giveaway or join one. You can get together with a bunch of people in the same marketplace and give a bunch of stuff away for free. You generate leads from people entering in their name and email to get this 'free stuff' and everyone shares in the generation of each other. 7. LinkedIn: LinkedIn is a way of getting business contacts. Squidoo, many people are already familiar with. It's a great way of getting things rolling. 8. USA: Or USFreeAds is a classified solution, go to USFreeAds. 9. MyBlogLog: Like social blogging and similar to BlogCatalog. There's also site called Technorati, which is the oldest blog directory out there. There's another place where you can submit your content; articles and so on: Zemanta, and there's also Gather. 10. Wiki: You can also start a wiki. A wiki is kind of like social blogging. A great way to start a wiki up is called PBworks. 11. Business Cards: You of course can use business cards. It's an old school method, but it works. 12. Sponsorship: Many small local TV talk shows will accept a sponsor for $1,000 or so and allow you to appear as a regular guest to promote your website business. You can also sponsor bands, race cars or other publicly attended events with your business in order to generate leads. 13. Tell A Friend: You can use tell-a-friend forms online, where you have something cool that you give away and then you have people tell a friend with a tell-a-friend form. 14. Face To Face: Seminars are a great place to meet people and find leads. The Chamber of Commerce and, of course, public speaking events is a really good way of doing this. 15. Traffic Exchanges: A traffic exchange website receives website submissions from webmasters that join traffic exchange networks. The person who submitted the website then has to browse other member sites on the exchange program to earn credits, which enable their sites to be viewed by other members through the surf system. This increases the number of visitors to all the sites involved. 16. Reddit: Here is where you can source for viral stories and videos to add to your content. Plus you can post comments, and share your favorite site, like yours ;) with people! 17. Seesmic: Seesmic is a social a video tool. Seesmic is a suite of freeware web, mobile, and desktop applications which allow users to simultaneously manage user accounts for multiple social networks, such as Facebook and Twitter. 18. Gmail Ads: This is paid advertising through Google, like Google's Pay-Per-Click program. 19. Google Buzz: Here you can make friends with people and talk about topics that you're all interested in and then drive people back to your opt in form. 20. Plaxo: This is a social network where you can make business friends. 21. Book Launch: You can do a book launch. You can do an Amazon-style book launch. Or you can do book inserts, where you can actually do something like that through amazon.com, where they'll – they will insert your advertising into books that they're sending out. 22. BitTorrent: with a BitTorrent, people opt-in to get access to a PDF you have put on BitTorrent. 23. Forums: Forums are really great because you can comment in forums that already exist or you can start up a forum on your own topic. And there are thousands of different ways to start up forums. Many social networks now have forums as part of them. 24. Contest: You can hold a contest that pays a person $1,000 for delivering the most emails to you in a month from people that will accept your newsletters. 25. Buy A Website: You can buy somebody else's website that has a client list. 26. Domain Traffic: Sites sell traffic on domains that have expired that already have some traffic. 27. Interviews: Give interviews to other people in your niche about your area of expertise. 28. Create a Newsletter: Give people lots of good information, and have them sign up for your list to receive it.